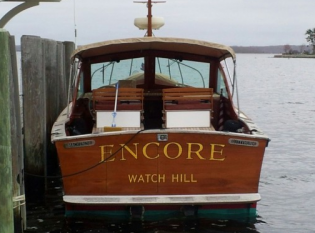 Captain Jack Spratt’s two-hour historical charter boat Encore tours the harbors of Stonington and Watch Hill, Little Narragansett Bay, Pawcatuck River, Sandy Point and Napatree. The historic villages of Stonington & Watch Hill are inextricably linked with American maritime history. From these shores great expeditions of discovery were mounted. Along these shores, lighthouses, life-saving stations and forts were constructed and manned, battles for independence fought and livelihoods carved from the granite bedrock and bounty of the sea. Moored to these shores were sailing ships and steamboats destined for ports and markets along the coast and around the world. Iron rails ran through these villages bringing steam locomotives to the docks while light rail brought people to the beach. Grand hotels were built and lost. Storms and hurricanes ravaged the shoreline, remaking the bay and barrier beaches. Wildlife come and go with the seasons. Capt. Jack is known for his local historical knowledge, entertaining narrative, photographs and artifacts. This tour is on the protected waters of the harbors, bay and river. Participants are welcome to bring snacks and drinks aboard, and are encouraged to dress warm and bring a jacket. 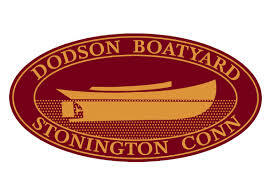 Thanks to Dodson Boat Yard for their generosity!